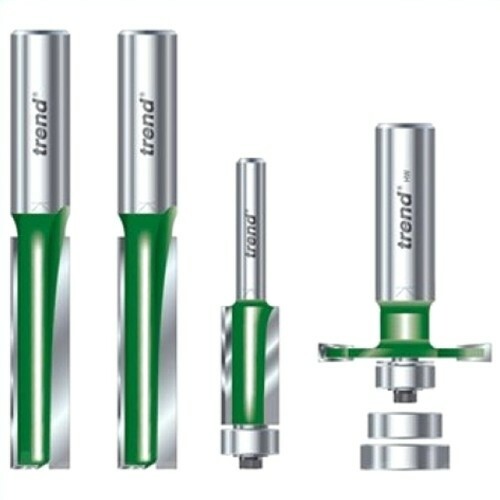 Four piece router cutter pack for use by kitchen fitters. 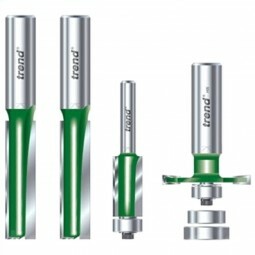 Pack comprising of two worktop cutters (1/2") C153DX1/2TC, one biscuit jointer (1/2") C152X1/2TC and one laminate trimmer (1/4") C116X1/4TC. Cutters are tungsten carbide tipped with a teflon coating and can be used in natural timbers, particle board and fibreboard.